Ah, it’s that time of the year again. The Midsummer Classic is right around the corner, but before the first pitch of the All-Star Game is thrown, there is business to attend to. The night before the game, tomorrow night, eight of Major League baseball’s most powerful sluggers will convene in one place to showcase their skills in baseball version of the Feats of Strength. Last year, the format changed and made the derby incredible. In a sport not subject to a time limit, a hitting clock was instituted and produced and unforgettable event. It will be a tough task to follow up that performance, and if you missed it, check out the final round below. I wrote a long post previewing last year’s derby (you can check that out here). Turns out, maybe I do know a thing or two about this game, as I ended up predicting all but the final round correctly (hometown hero Todd Frazier had to come in here and spoil things…). Before I break down the match-ups, I’ll give a little bit on the stadium. The park currently sits in 18th place for most home runs hit during the 2016 season, with 101 pitches being deposited over the fence to this point. That comes out to just about 2.24 home runs per game, and Melvin Upton Jr. has the longest homer there of the season at 462 feet. As far as being designated as a “pitcher’s park or a hitter’s park,” it has generally be known as a pitcher’s park over the years. The fences are fairly distant: Left-Field Line: 336 feet, Left Field: 357 feet, Left-Field Alley: 401 feet, Center Field: 396 feet, Right-Field Alley: 400 feet, Right Field: 382 feet, Right-Field Line: 322 feet. The one thing of note though, is that the fences are not very tall; about eight feet all the way around. Now we can take a look at the match-ups. Mark Trumbo is on pace to hit 53 home runs this season and become the fourth player to hit 50+ homers in the first year with his new team. The Oriole has 159 career dingers, and only one has come at Petco. The right-handed batter has 28 so far this season. All but 29 of his career homers have been between the left field foul pole and center field. 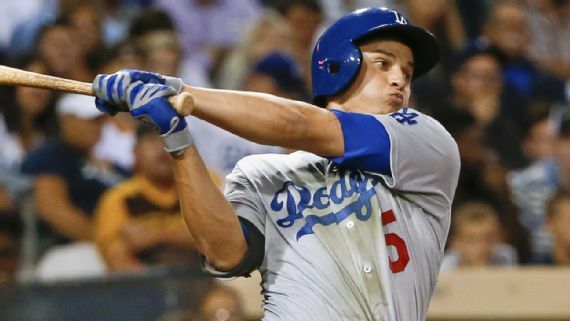 Corey Seager made his debut late last season, and hit four homers. This year, he has 17 before the break. There is some concern, though, about him possibly damaging his swing as he attempts to help the Dodgers make a playoff run in the second half of the season. Many players have voiced these same opinions as their reasoning behind holding out, but Seager will dive head first into this year’s derby. Prediction: I have to give the edge to Trumbo here. One, he’s been absolutely mashing this year, and two, he’s done this before (2012 in Kansas City). Adam DuvALL-Star. Catchy, right? 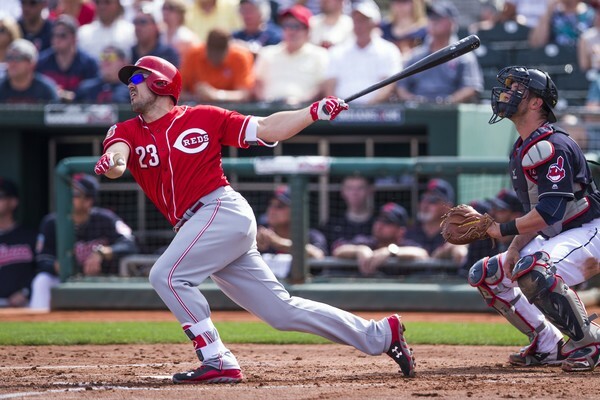 The Cincinnati Reds’ left-fielder has been one of the few bright spots for the last place team, as he has just been crushing the ball in the all-too-hitter-friendly Great American Ball Park. Duvall only played in 28 games in 2014 and 27 in 2015 as compared to the 82 games he has already played in this year. He has 23 home runs, a substantial improvement from the combined eight over the last two years. It is becoming customary to have at least one player from the home team compete in their home run derby. This year, Wil Myers will represent the Padres and take some hacks. The former Tampa Bay Ray (did he swim from Tampa to San Diego?) has 19 home runs to date, already surpassing his previous season-high of 13. Of Myers’ 46 career homers, only 16 have been at Petco. Prediction: Sorry home crowd. Don’t be too upset! Your city still produces more avocados than any other place in the United States. However, you’ll have to celebrate that after the first round, because Adam Duvall will take care of Wil Myers. Todd Frazier only hit 10 home runs during the entire 2014 Home Run Derby in Minnesota, yet he found himself in the final round squaring off against Yoenis Cespedes who won with a total of 28 homers. One could say Frazier used the system, but one could also say he just did what he had to do. Then last year, Frazier hit 14 in the first round alone, and finished with 39 total. This season, he has 25 round-trippers already, nearly to his season total of 35 from a season ago. Carlos Gonzalez was a bit of a dud in the 2012 derby, only hitting four. As far as season totals are concerned, he’s way up there. CarGo hit 40 homers last year and is on his way to about the same this year, sitting at 18. Maybe that derby was an exception? Or maybe he just isn’t accustomed to hitting like this. We’ll see. Prediction: It’s really hard to pick a champion. Two years ago, Todd Frazier nearly won the whole thing without hitting many homers at all. 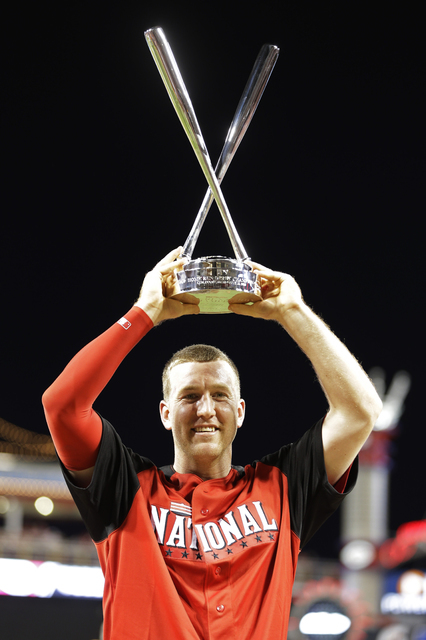 Last year in his home city, Frazier hit a buzzer-beating homer to keep his hopes alive. This is the biggest toss-up of the first round, but I picked against Frazier to win in the final round last year and I’m not going to pick against him in the first round here. Frazier gets it done. Unlike Bryce Harper, who has stated that he has no interest competing in the Home Run Derby, baseball’s most powerful hitter readily finds himself in the contest for the second time in three years. I was excited to see Giancarlo Stanton mash at Great American last year, but after he wore a pitch off the face in Milwaukee, it took a little more time to heal than just rubbing some dirt on it and running to first. 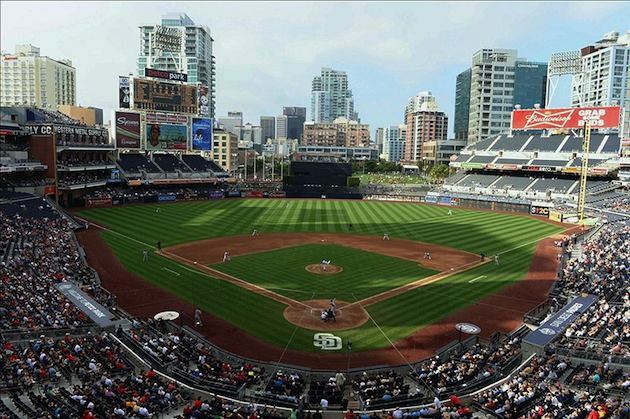 Nevertheless, Stanton is back at it again, this time in San Diego. Remember the last time he was in the derby? Look, Stanton is must-see TV. When he or Bryce Harper steps to the plate, you turn on the respective game because you never know what one of them is going to produce. Some of Stanton’s shots are laser beams that get out quicker than Kim Kardashian from her first marriage, and others are moonshots that are so high up they feel blessed. His swing was built for the home run derby and the home run derby was built for him. Giancarlo, do not let us down. 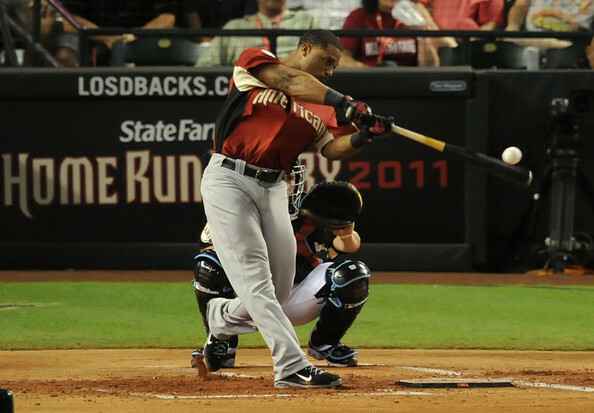 Cano hit 32 home runs in the 2011 derby en route to the title. He hit 28 home runs that season, then 33 in 2012. He only hit 21 all of last year, but he already has 20. The left side of this bracket is loaded with talent. Prediction: Not only has Robinson Cano been there before, he’s won it before. However, Giancarlo Stanton had not yet burst onto the national landscape with his magnificent displays of power; his shock and awe factor nearly unmatched throughout the league. This is my bet for the best first round pairing, but I think Stanton moves on. We move into hypotheticals now! This is one of those pairings where you wish it came in the final. Unless there’s a serious flop or a crazy surprise, these two meeting for a chance to go to the finals is a pretty solid bet. They both hit baseballs really, really far, but I think Stanton will hit more baseballs really, really far. Hey Reds fans check it out! Your former star vs. your current star! 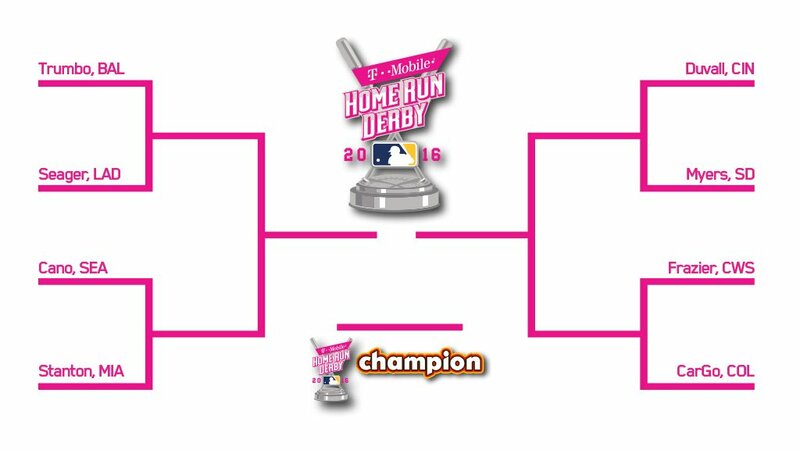 If only the home run derby could happen everyday, right? Well, I think Duvall goes on to the championship round. I’m fully prepared to see Frazier bust my bracket for the second straight year, though. Here is to hoping that Giancarlo Stanton does what fans are so hoping he will do, and that is to obliterate baseballs and shatter records. Should Duvall get to this point, I think he could put up a good fight, but in the end it’ll be Stanton. Do you want to try it out for yourself? Fill out a bracket for the chance to win some serious dough by clicking here. It has been quite some time since this page has been active, and I got to figurin’ that that ought to change. College basketball has consumed the vast majority of my sporting interests since early November, but as Bronson Koenig ended the dreams of my beloved Xavier Musketeers all-too-early in March, I have turned back to the national pastime. A great couple college basketball and the MLB make; when one ends the other begins. I have been thinking about various ideas for this site in particular, and I will try and take advantage of whatever opportunities are available to cover the team from my perspective over the course of the season. I’m sure my good friend Steve Miller and I will have some more stories to share from Nationals Park. It has been exactly six months (or about 183 days and 26 minutes) since the Washington Nationals last played a game that counted in the standings. Granted, it was a loss to the New York Mets, but it was a real game nonetheless. Now, it’s go time. In about ten minutes, reigning NL MVP Bryce Harper, ace Max Scherzer, and the rest of the Nationals will get their season underway against the Atlanta Braves. As the Nationals Twitter account has been promoting throughout spring training, the Nats have #OnePursuit. Many speculate that with injuries, age, and impending free agencies, the window for the Nats to win is slowly closing. Today marks the first step on this particular journey. So, without further ado…let’s do this thing. 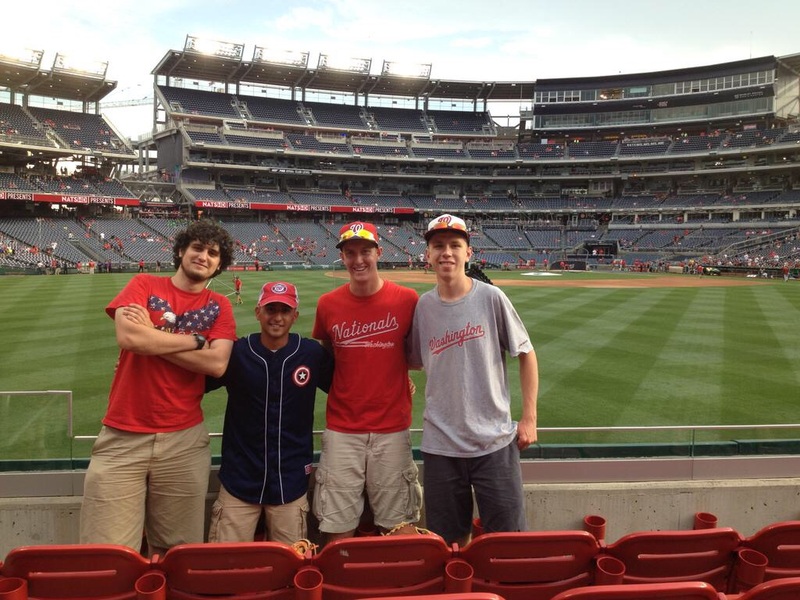 It was a solemn day, Friday, as it marked the final time I would be making the trek to Nationals Park in the 2015 season. As distance abounds between the park and my place of learning, I will have to settle for cheering on the team from the constraints of my dorm room. Last week produced a whirlwind of events, not all of which were positive in nature. 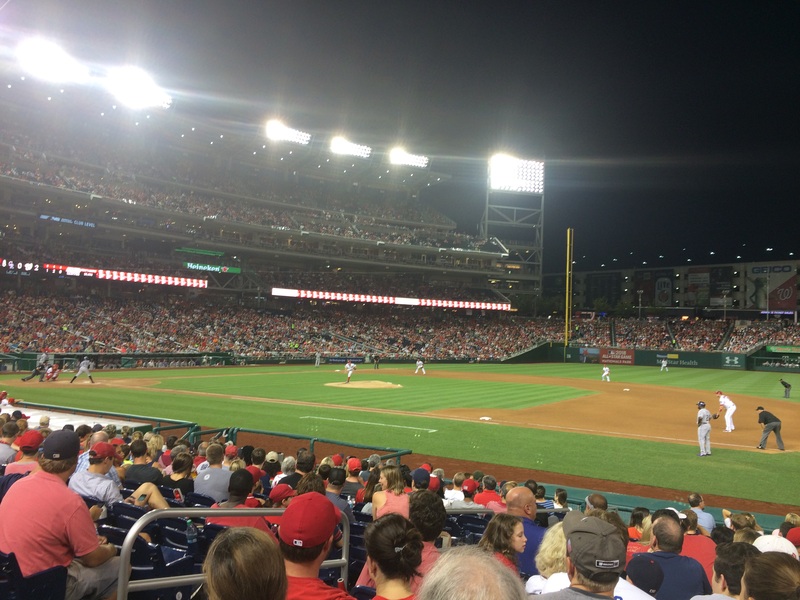 In fact, Steve and I only saw the Nationals win once in our four games, and Friday’s finale proved to be the most gut-wrenching of all as I will relay to you below. For a full background on the tales of the week that did not all pertain to the national pastime, be sure to check out Steve’s recap here. Steve and I arrived to the park right as the gates opened, allowing ample opportunity for batting practice leading up to the game. I tracked a Jayson Werth bomb that was my best chance as of yet, but I made it across the aisle just too late and the ball skimmed off the edge of my glove. Luckily, I had a chance at redemption only a few moments later when Werth hit another one; this time the ball found itself securely in the back of my glove. As for Steve, he made an acrobatic catch on a home run by none other than Dan Uggla, one of his favorite MLB players. The Colorado Rockies took their turn but did not produce many home runs to where we were standing in the Red Porch, save for one caught by Steve. We meandered around the stadium as we killed time before first pitch attempting to find some consumables along the way. Upon filling our stomachs with some delightful American food, it was time to go watch some baseball. 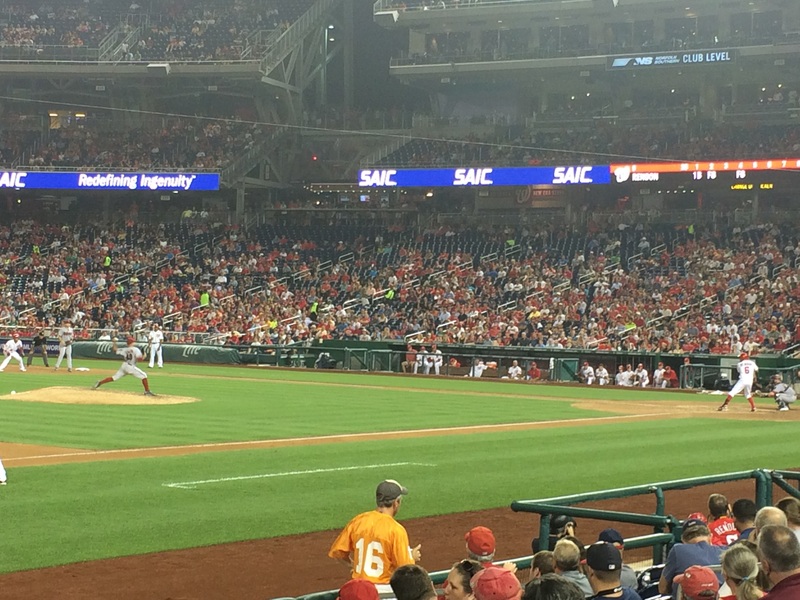 The Nats got off to yet another good start, taking an early 1-0 lead in the first inning. Pitcher Jordan Zimmermann did his part in shutting the door and held the Rockies off the board until the seventh inning. He got an extra run of support in the fourth along with two more insurance runs in the sixth to make it 4-0 entering the final third of the game. Colorado trailed 4-1 in the eighth as recently-dominant relief man Drew Storen strode to the mound from the bullpen. 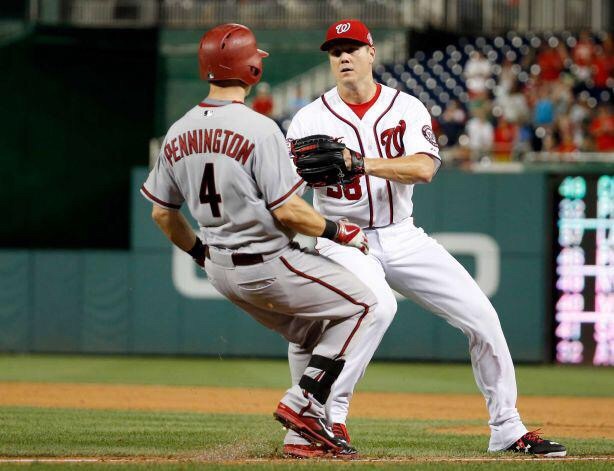 For the first time since the Papelbon trade, he allowed a runner to reach scoring position. All of a sudden the bases were juiced. And then…Carlos Gonzalez put the Rockies ahead with one swing of the bat, a laser over the right field fence. Nationals Park was deflated. What looked to be a certain 4-1 victory had see-sawed into a 5-4 deficit seemingly in the blink of an eye. It was not over yet, and the Nats had two more chances to muster just the one run they needed to tie it back up. The Nats left a runner stranded at third in the bottom of the eighth, so still behind by one in the ninth, they were looking at 9-1-2 coming to the plate. One runner reached, and the Nationals had none other than Bryce Harper coming to the dish with two outs, down by a single run. One swing of the bat and the home crowd would be going home exuberant, but it was not to be. Tommy Kahnle earned his first career save and the game was over. With yet another Mets win, the Nats were now 2.5 games behind in the division. I watched the post-game Freedom Fireworks with a strong sense of nostalgia. The summer was quickly coming to a conclusion and I will soon be heading off to begin another chapter in my life. 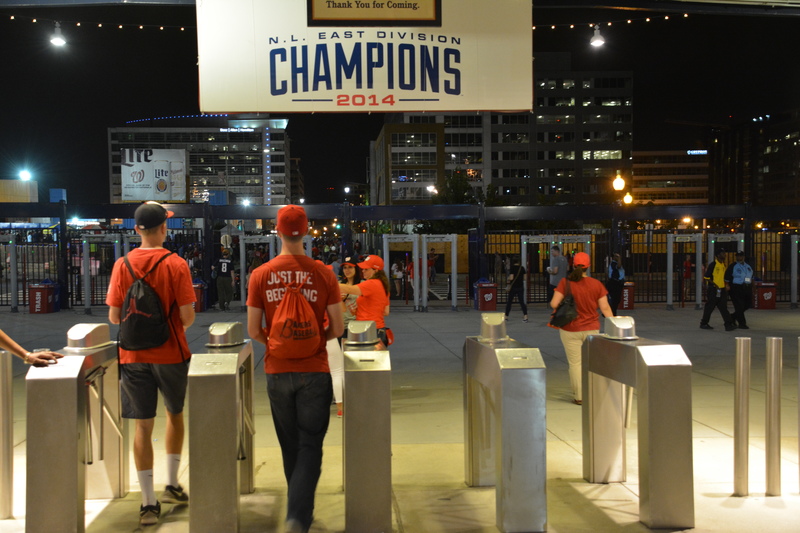 Hopefully, my beloved Nationals can write themselves a storybook ending to their season. 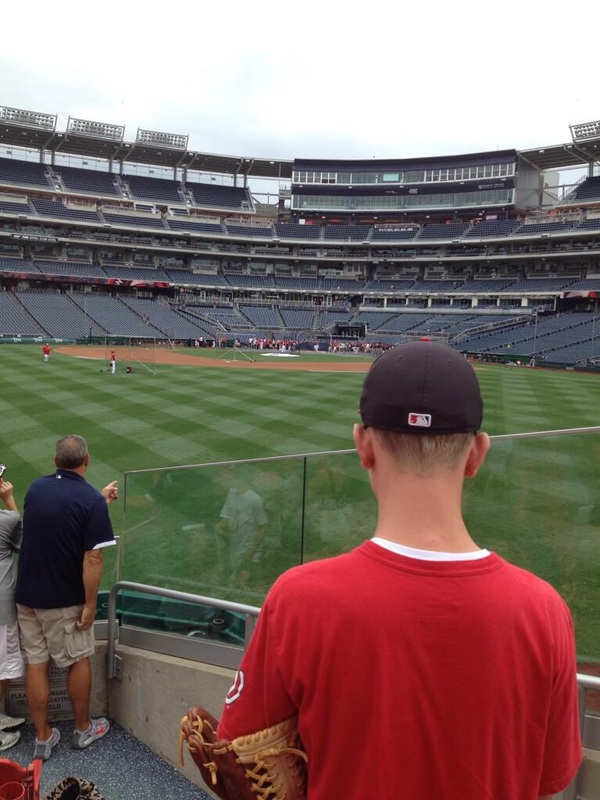 See you next year, Nationals Park. One year ago, on August 5th, 2014, the Jayson Werth Garden Gnome enamored a fan base and caused hysteria among the masses attempting to get one in their possession. I made sure I would not be denied, and waited nearly two and a half hours as the first in line for the unique promotion. I was interviewed by The Washington Post, and it was one of my fond memories from last summer. The same date of this year served as a platform for yet another distinct giveaway utilizing Jayson Werth’s likeness: The Jayson Werth Chia Pet. 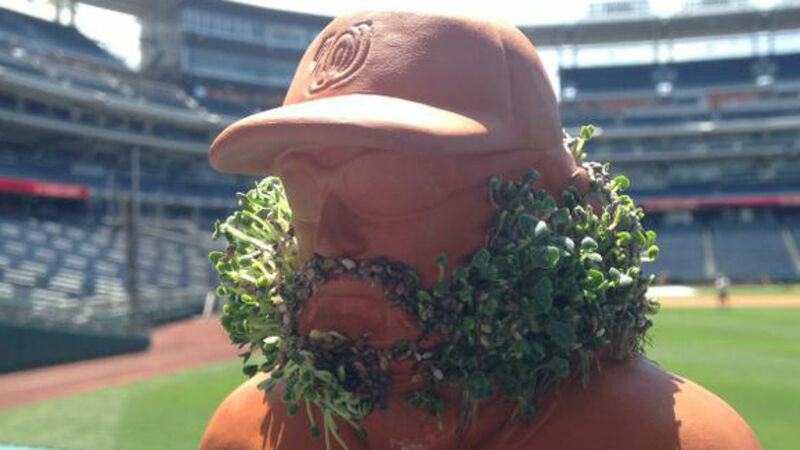 Given to the first 20,000 fans, the Chia Werth was all over Twitter in the time leading up to the event and the game was sure to be packed with fans trying to get their hands on one. In the spring, Steve Miller interviewed me for an article he was writing for Flyer News, the University of Dayton’s student newspaper. The article was about the promotion schedule for Major League Baseball, and he talked about my experience last year with the craze of the Werth Garden Gnome. He applied for a press credential to cover the follow-up to the gnome: the chia pet. He was granted the press pass, and upon informing me of his success, I applied for one also but did not hear back. When we emerged from the Navy Yard metro station and looked down Half Street, I noticed the line for the chia was not nearly as long as I remembered it for the gnome before the gates had opened. After walking around and ensuring Steve had made it into the park, I made my way back to the left field gate where I received my chia. The Red Porch was quite crowded for batting practice but that didn’t stop me from trying to catch a home run. I had not caught one on the fly since August 5th of last year, so I was hoping for a repeat experience a year later. Sure enough, after waiting for a little while, a batter who I believe was Ian Desmond, smacked a ball right near where I was standing and I moved over to make the catch. Around 5:30 the entire park opened and I went down next to the Diamondbacks dugout since Steve was on the field behind home plate for batting practice with his press pass. He told me he had already talked to some broadcasting members, including Dave Jageler who we interviewed last year before a game. Steve and I talked for a little while longer and when he left to go back to the press box, I meandered back to the Red Porch to try my luck with D-backs BP. Be sure to read all about his experience here. Wouldn’t ya know, one of the batters hit a home run to essentially the same spot as the one I had caught before and I had my second souvenir of the day. At this point, my parents and another friend were arriving and I had my company to ascend to our seats and watch the game. Like the night before, leadoff hitter Yunel Escobar got things started with a blast to center. While this one did not go over the fence, it did go over the head of the Diamondbacks center fielder, and Escobar had himself a double to start the game. 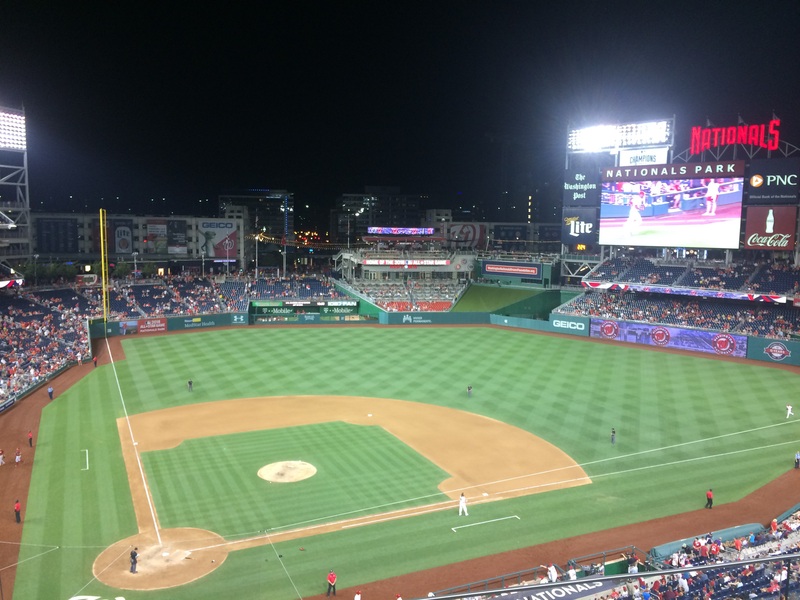 The Nationals scored three in the first on Tuesday night and two in the first on Wednesday night, but the games would turn out to be polar opposites upon completion. Gio Gonzalez pitched five strong innings and left in the sixth with a one run lead. To say the bullpen imploded is an understatement, as Aaron Barrett relieved Gio but left in the same inning after having recorded only one out and allowing three earned runs. By the end of the sixth it was 5-2 Diamondbacks and the visiting team was not looking back. They tacked on three more in the eighth and three more again in the ninth to turn a 2-1 battle into a 11-2 laugher. 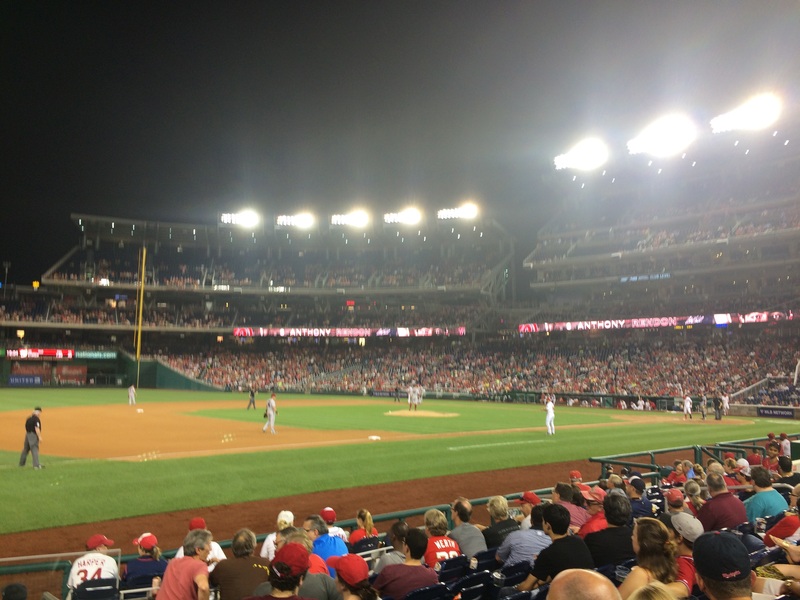 It got so bad in the ninth that position player Tyler Moore was called on to finish the inning. There was even a point when the section I was in started chanting “Let’s go Marlins!” after the Marlins staged a rally in the bottom of the ninth to make it a close game against the Mets. Michael Taylor provided a two-run blast in the bottom half of the frame, and then the fat lady sung, concluding a marathon of an affair that lasted nearly four hours. With yet another Mets victory, the Nationals ended the night two games back in the National League East. 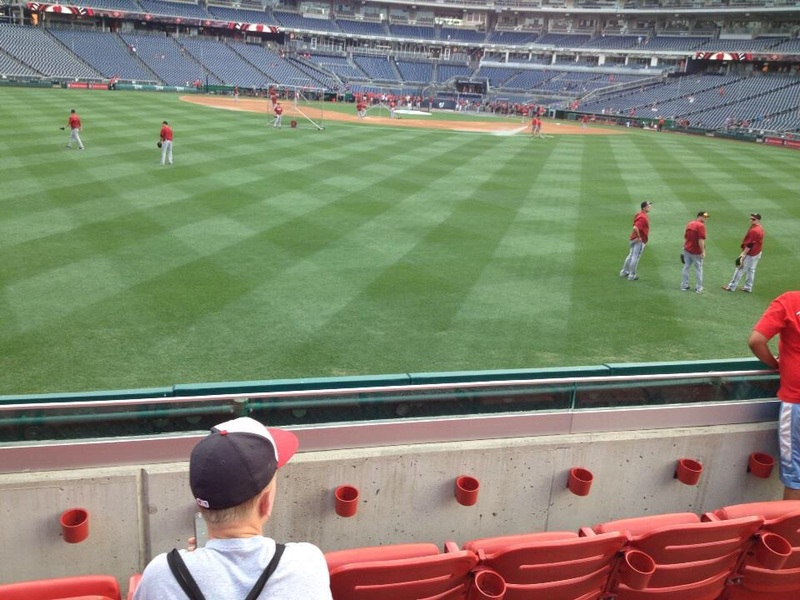 The Nats took a loss last year on gnome day, so hopefully next year August 5th doesn’t become an annual losing affair. All in all, it wasn’t a completely bad day. The experience before the game was fun, and it was interesting hearing Steve’s stories of the press box. If only the actual game had gone better. 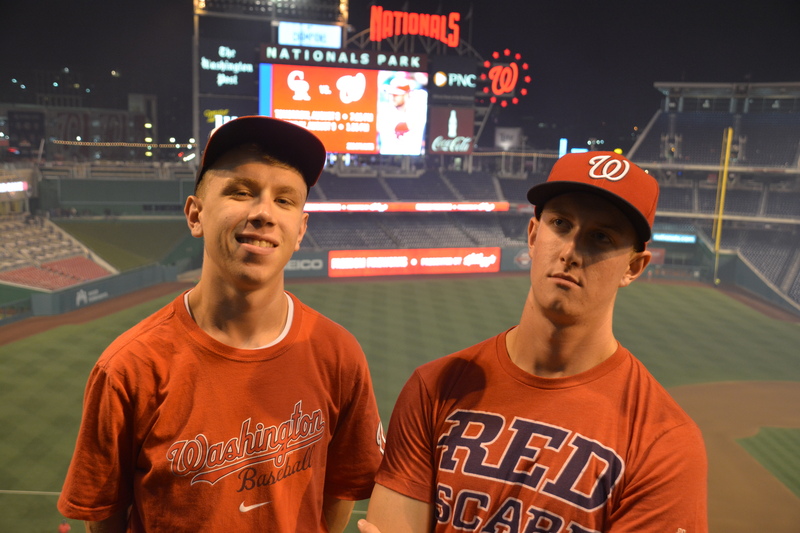 Tomorrow, Friday, will likely be my last trip to Nationals Park before I set off for college in less than two weeks. Stay tuned also for a special announcement coming from this site in the very near future.